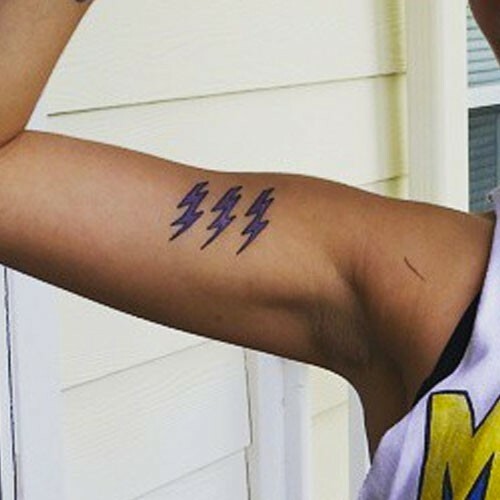 In May 2014, Nikki Williams got this “stormy weather” tattoo of three lightning bolts on her right upper arm. 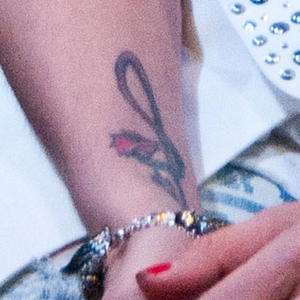 Nikki Williams’ wrist tattoo says “Weston” for her ex-husband Weston Cage. 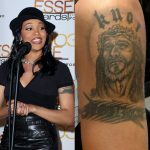 They were married in April 2011 and filed for divorce only a few months later in October 2011. Weston is an aspiring musician and he is the son of famous actor Nicolas Cage. 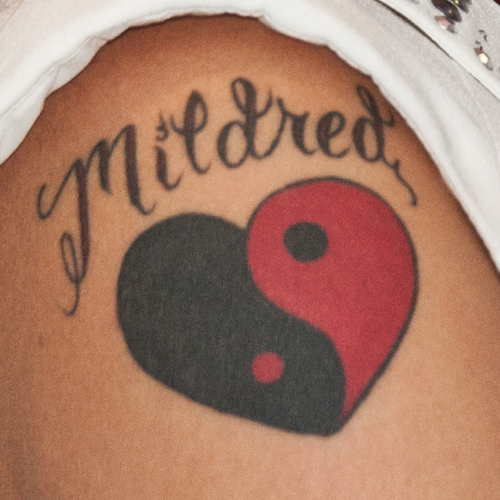 Nikki of course regrets the tattoo, though she hasn’t removed it yet. 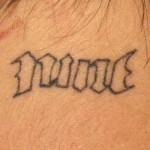 “Don’t ever get a name tattooed on you–ever!” she says. “It just actually jinxes the whole relationship.” She joked about covering it with the barcode of her album. 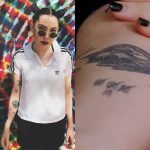 Nikki Williams has a tattoo of a scorpion on the top of her right foot. 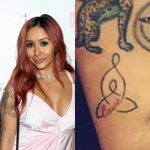 Nikki’s astrological sign is Scorpio. 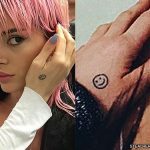 Nikki Williams has a tattoo on her right forearm of a dragon in the shape of a treble clef. 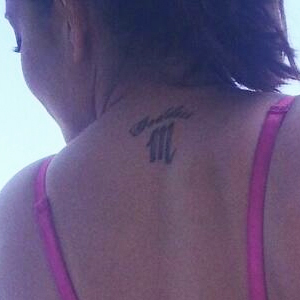 Nikki Williams has the word “Goddess” and the Scorpio astrological symbol tattooed on her upper back. She was born on November 9th 1988, making Scorpio her zodiac sign.